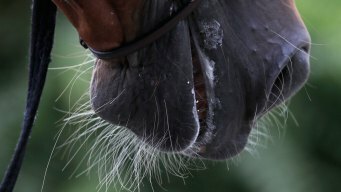 RIO DE JANEIRO (AP) — Brazilian show jumper Alvaro Doda de Miranda has extra motivation to succeed at the Rio de Janeiro Olympics. 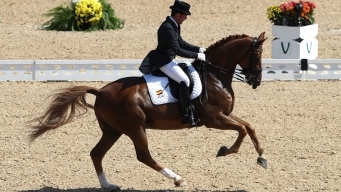 They might have not won Olympic gold, but a Spanish dressage rider and his horse captured plenty of hearts on social media by doing a routine to Carlos Santana and Rob Thomas' "Smooth." 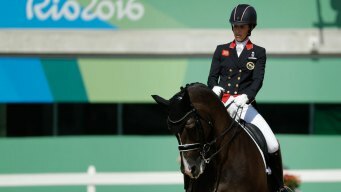 Charlotte Dujardin and Valegro have clinched a second successive gold dressage medal, setting an Olympic record in the process. 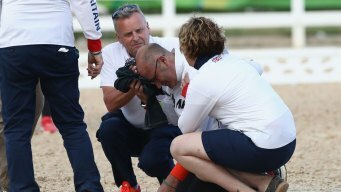 A spooked horse reportedly gave the Olympic German team’s groom a kick to the head as the country’s four winning equestrians were being celebrated for their gold medal performance. 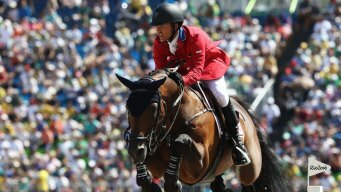 Team USA’s Steffen Peters and horse Legolas make a big statement during their Grand Prix performance on Thursday morning, positioning the duo into the No. 3 spot on the leaderboard.